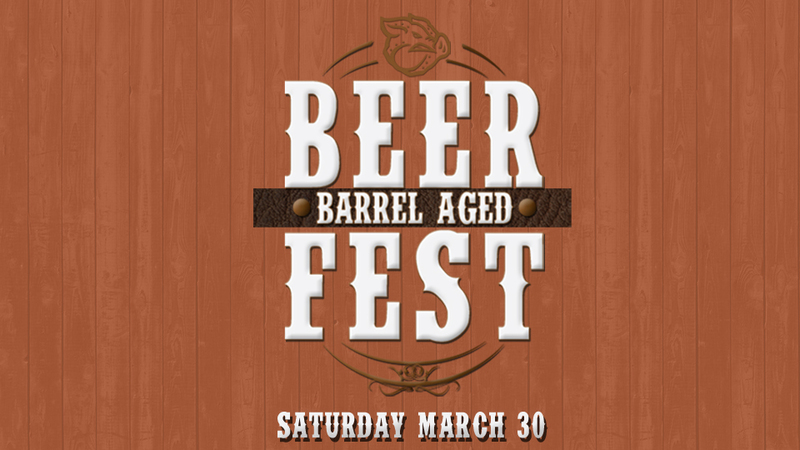 The 2019 Lehigh Valley Barrel-Aged Beer Festival - an indoor event featuring tastings from highly sought-after wood- and barrel-aged beers - returns Saturday, March 30 at Coca-Cola Park. This three-hour event begins at 1 p.m. on the climate-controlled PNC Club Level at Coca-Cola Park. Attendees will each receive a commemorative tasting glass, the chance to sample a wide variety of barrel-aged beers and complimentary appetizers. The festival also includes cigars from Caravan Cigar Company, live music from local act We3 Band and access to the club level's billiards suite. Guests are encouraged to purchase their tickets in advance as this exclusive event will be limited to 400 patrons. General Admission tickets are on sale now starting at $65 per person. VIP tickets, which include the opportunity to experience hand-crafted artisan spirits from local distilleries Xplorer Spirits and Social Still, are available for $75. For tickets, fans can click here or go to cocacolaparkevents.com. For just $15, tickets are available for designated drivers. Those guests will enjoy complimentary soft drinks and appetizers for the duration of the event. All attendees, including designated drivers, must be 21-or-older to attend the event. Parking for the event is free. EARLY BIRD SPECIAL: Through Friday, Feb. 15, save $5 on general admission or VIP tickets with our early bird special. Until Feb. 15, purchase a general admission ticket for $60 or a VIP ticket for $70. Attendees will be given the opportunity to sample 20 beers during the three-hour session. Some of the brews featured will have a limited availability. The complimentary appetizer menu features hearty selections such as Angus beef sliders, pretzel bites, chicken cordon bleu bites, mini pierogis, French fries, Charcuterie and cheese board, various smoked meats and an antipasto platter. The Lehigh Valley Barrel-Aged Beer Festival is the region's first event to focus exclusively on barrel-aged beers. Another exciting and diverse collection of brews is on tap for the 2019 event. These beers may be aged in bourbon, wine, rum, tequila, gin, or other used liquor barrels to create one-of-a-kind beers. The 2019 IronPigs season is the team's 12th as the top affiliate for the Philadelphia Phillies and 12th at Coca-Cola Park. Bacon, USA membership plans are now available and feature IronPigs tickets, as well as parking discounts, on-field VIP access to batting practice, special event invitations and more! Learn more by calling 610-841-PIGS (7447) x3 or by visiting PigsMemberships.com. Follow the IronPigs on Twitter at @IronPigsand like them on Facebook via facebook.com/LHVIronPigs.